Beginning on October 30th, you can get $10 off ANY order over $75*! This offer applies to any products available for online purchase, so you can get exactly what you need, and save money...without limitations! How exciting is that?!?! 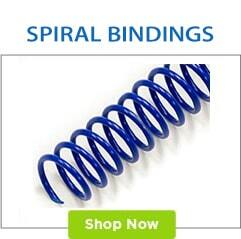 You can buy loose leaf binding rings, or spiral binding coils, or a business card cutter, or anything else you need! Just get your order sub-total to at least $75 to start saving, and use the coupon code SHOPSAVE to apply the $10 discount. PLUS, your order will qualify for free standard shipping*! 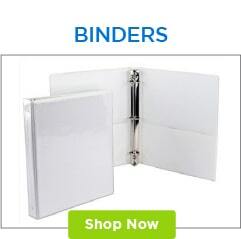 You can click on any of the categories above to browse the available products, or use that search bar at the top of your screen to search our entire Binding101 store. If you have any questions or need help, please click "live chat" on your screen, email info@buy101.com, or call (866)537-2244 (866)537-2244 to speak with our product experts. 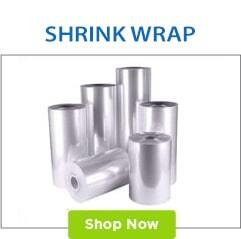 *Exclusions: Minimum order dollar amount required is for the sub-total of products; before tax and shipping. 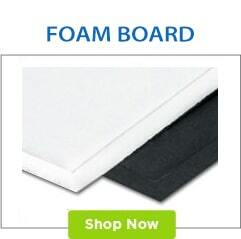 Discount will automatically apply to your shopping cart when you enter the applicable coupon code. Coupon codes must be used during ordering process, and cannot be applied to any order after it has been placed, shipped, or delivered. This promotion cannot be combined with any other promotions, discounts, or special offers. All orders over $75.00 also qualify for free standard shipping; full details and exclusions can be seen here. The last day to use this offer is 11/09/2018.